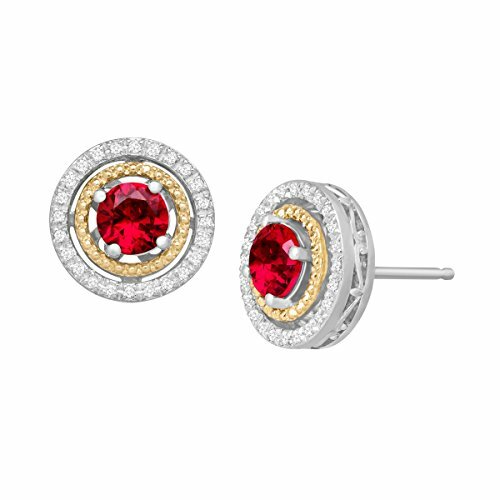 These sparkling studs count as classic ruby accents perfect for every occasion. Two round-cut created rubies totaling 1 1/3 ct are wrapped in diamonds totaling 1/8 ct, and are set in 14K gold and sterling silver. Pieces measure 7/16 by 7/16 inches.